Gliding around the Greek islands on a sleek mega-yacht – just imagine that! Every day on this 8-day Greek islands yacht cruise you will explore ancient archaeological sites, medieval fortresses, romantic Byzantine-era architecture – and wander fishermen’s villages and visit with locals. Culture seekers know about cruises offered by Adventure Smith Explorations, an award-winning company famous for small ships and yachts; knowledgeable, engaging guides; and sustainable practices, all focused on getting passengers up close to cultural attractions and interaction with people, and on many of their cruises, up close to nature and wildlife. Anchoring where the massive cruise ships cannot, the gleaming Harmony V yacht hosts fewer than 50 passengers in 25 nicely outfitted staterooms. 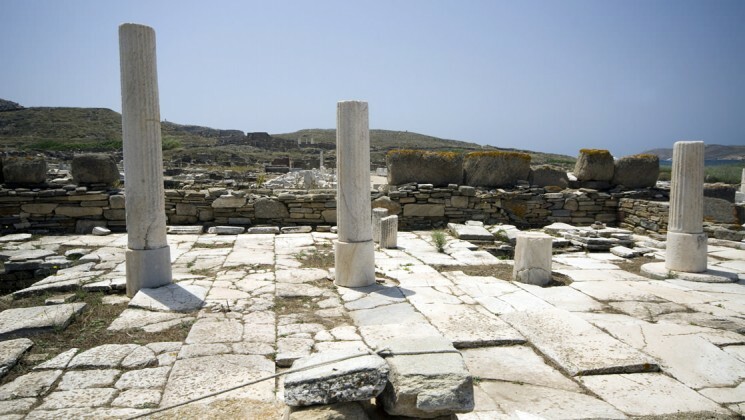 Delos: a 5,000 year old archaeological site, one of the largest outdoor museums in the world, with an amphitheater, market squares with mosaic floors, the soaring columns of the House of Dionysus, the spectacular Temple of the Lions and much more. Nafplion: one of my favorite stops on this cruise, a seaside town where I sort of got lost one weekend. On an American Express bus tour from Athens, I arrived in Nafplion with a large group, and as I wandered along the waterfront entranced by the island fortress offshore and the medieval castle on the hilltop, I just couldn’t get back on that bus. After exploring around the cobblestone streets and the Palamidi Castle, in a little used bookstore I purchased Henry Miller’s The Colossus of Maroussi, wherein I found a lyrical description of Mykonos. I joined in the passegiata that evening, stayed overnight and next morning hopped a ferry to . . . Mykonos. Mykonos, Santorini: from the stunning heart of the volcanic caldera, tour the archaeological sites and villages. Crete’s famous port of Rethymnon: Venetian and Ottoman architecture. Knossos: huge Bronze Age archaeological site, center of the Minoan civilization. 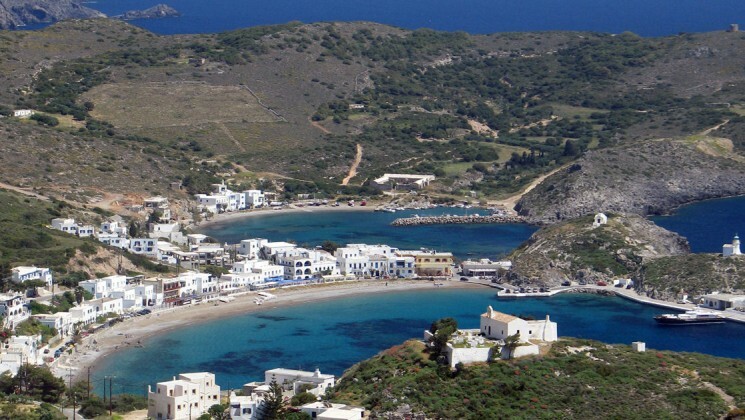 Kythira: the island of Aphrodite, the Goddess of Love, the picturesque town of Chora, villages, museums, castles, archaeological sites. Monemvassia: connected to the mainland by a narrow bridge, a castle town founded in the 6th century on an islet, with a medieval fortress. Hydra: 17th & 18th century charm, and at Mycenae, the walled palace of Agamemnon, commander of Greek forces in the Trojan War; monumental Lion’s Gate and domed tombs built 1,000 years before the Parthenon. From $2790. May thru Sept departures (the sooner you book, the better your chance of a discounted fare). The Carbon Free Cruising campaign offsets all carbon emissions created. AdventureSmith Explorations has been lauded by National Geographic Traveler, Outside Magazine, The New York Times, USA Today, Frommers and the Outdoor Channel, to name a few media. The company started in 2003 with small ship cruises to Alaska and Galapagos, land-based Peru trips, Belize and European cruises were added, and by 2005 the awards began piling up––such as National Geographic Adventure’s Best Tour Companies on Earth. 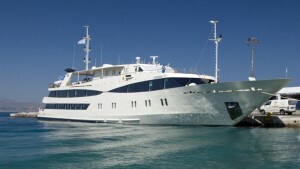 The founder, Todd Smith, was recently renamed “Top Expedition Cruise Specialist” by Conde Nast Traveler. 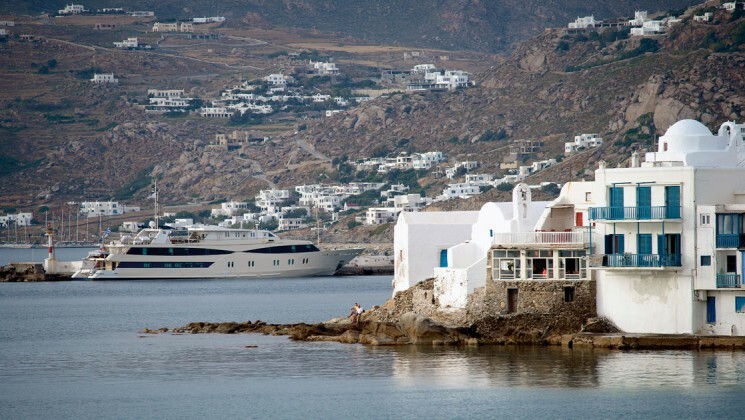 What was your experience on a small-ship or yacht cruise in the Greek islands? Do let us know! Click here for a detailed review from a passenger on the Classical Greece cruise. Here are descriptions of some of the best books about Greece ever written.